Gaylord Student-Run Credit Union winter volunteers. For the responsible adult who thinks about being prepared for the future, savings are a fixed expense that is built into the monthly budget just like car payments and insurance. For most people, though, this habit does not come naturally. Community Financial is helping students in our northern communities develop these savings habits from an early age. In our Northern communities, our school partners include: Gaylord Intermediate School, Lewiston Elementary, Atlanta Community and Hillman Elementary School. Gaylord Intermediate School has been a partner with us since 2004. 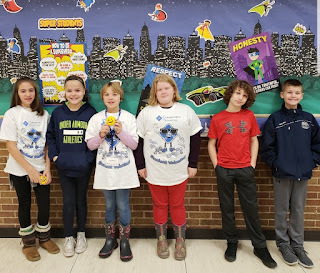 Here are this winter's 6th grade Student-Run Credit Union volunteers from Gaylord Intermediate School! Students who participate in the Student-Run Credit Union program are encouraged to keep track of their savings goals. 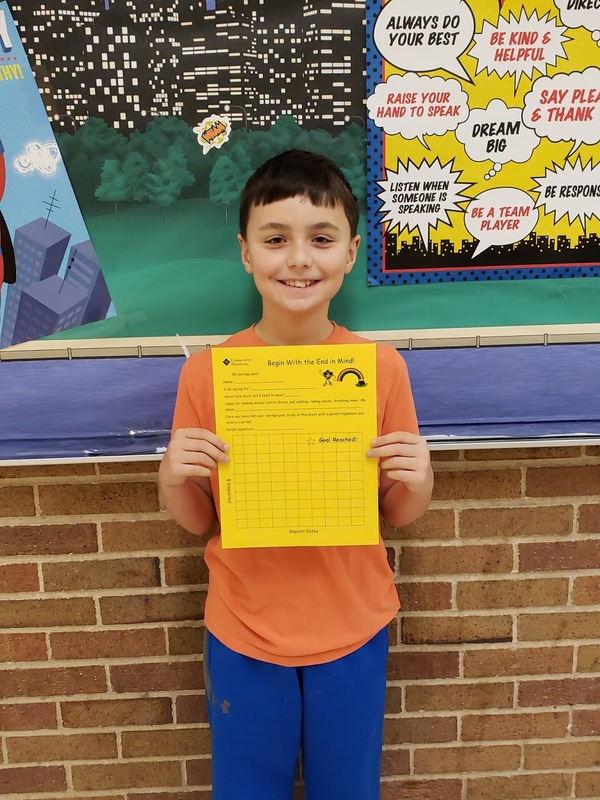 Each student receives a “savings goal” sheet at the beginning of the school year, and tracks their progress on their goal sheet at each Student Credit Union deposit day. 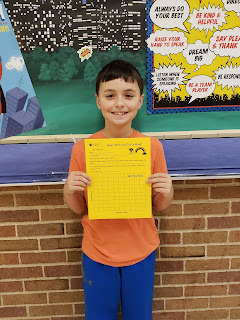 It's great to see students come closer and closer to reaching their goals! Some students start with small goals, like purchasing a new book or game. Others dream bigger, by setting savings goals for college, a vehicle, or even a house someday! A student member receiving his goal sheet! Students can get creative with how they earn money to reach their goals as well! Of course there are traditional ways of earning (like doing household chores). But creativity isn’t limited to chores alone. Students use their imaginations to come up with creative ways to earn income! Some examples include: teaching music lessons, making scrunchies, selling artwork, making friendship bracelets, selling yummy baked goods or even a neighborhood cleanup. With parent permission, students can reach their savings goals quite quickly, and creatively! Student volunteers wait to give prizes to those who met their goal! Savings habits needs to be acquired and practiced. Teaching your kids saving smarts now when they’re young can help make it a lifetime habit they’ve already mastered by the time they hit their 20s. Your Turn: Do your kids spend their allowance, chore money and money they earn from odd jobs as soon as they have it? Or do they save up for larger purchases? Do I Need an Emergency and Rainy Day Fund?